Midnight society, Pray For More , Ceevox, Milex, Luca M, JUST2, Brian Cid and more. 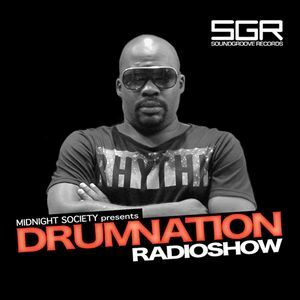 We celebrate six months of DRUMNATION the best way we know how; with more underground house music! This week&apos;s episode features tracks from DJ Dextro, Pray For More & Ceevox, David Penn feat. Max C., Milex, Frankyeffe. Jun Yagi and more. Hosted & mixed by DJ/Producer Curtis Atchison of Midnight Society. Follow Midnight Society online on Facebook and on Twitter at @msocietynyc and #DRUMNATIONRadio. Previous episodes of the show are available for streaming and limited download on the Midnight Society SoundCloud page. Get into the sound!